A fix for North Carolina’s class size crisis in March? A GOP senator from Wake County tells his constituents that he believes state lawmakers will proffer “relief” when they return in March, according to an email obtained by Policy Watch. Alexander did not respond to Policy Watch interview requests this week, but his missive comes with pressure and criticism mounting on state GOP budget chiefs. 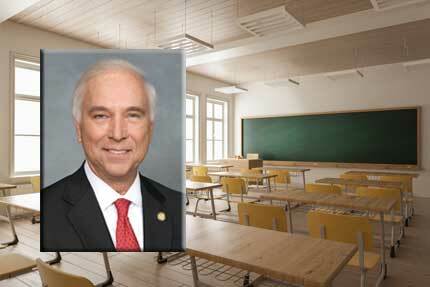 Republican legislators say they want to improve student learning in the early grades. But critics describe the class size order as ill-considered with the potential to wreak havoc in all 115 North Carolina school districts. As Policy Watch reported in 2016, school districts warned they may have to lay off thousands of arts, music and physical education teachers to clear budget space for new K-3, core subject teachers. Districts would also have to spend millions on new classroom space and mobile classroom units, or offer sharp cuts to local school initiatives such as Pre-K programs. “This is a simple problem and they’re making it difficult,” said Renee Sekel, a Wake County parent who helped start a grassroots group to advocate for class-size funding. Legislators offered some temporary relief last year, but have been reluctant to provide specifics on any plan this year. A Senate Democrat filed a relief bill last week that mimics the original version of a bipartisan compromise authored in 2017, but top lawmakers say there’s little chance that a Democrat’s proposal will be heard by the Republican-dominated legislature. Meanwhile, there’s a clear gap between House and Senate Republicans on the issue, with House leaders seeking a solution sooner rather than later. Districts say they’re in the midst of planning for the upcoming fiscal year, and further delays would only heighten instability for teachers. Rep. Craig Horn, a Union County Republican who co-chairs the House budget committee, told Policy Watch “the gap is closing” this month. Horn said he believes the two chambers will put forth some compromise in the coming weeks. Alexander’s message suggests at least some wiggle room in the Senate, which has been consistently more bullish on maintaining the class size mandate. Some Senators have suggested local districts are misusing their classroom funding, although GOP lawmakers have not provided any examples of actual wrongdoing by districts, which say they’ve long used flexibility over K-3 class sizes to retain arts, music and P.E. educators. Such “specialty” teachers once had a separate funding allocation, although state legislators merged the teaching allocations in the mid-1990s. Some legislators spoke of creating a separate allocation once again, but have given no details this year on that proposal. Mark Jewell, president of the N.C. Association of Educators, which lobbies for K-12 teachers at the legislature, seemed skeptical of Senate action anytime soon. Regardless, action on the issue seems increasingly unlikely in the ongoing session of the General Assembly, which was convened last week ostensibly to take up constitutional amendments, redistricting and appointments. Lawmakers canceled all activities Wednesday and Thursday due to the latest blast of wintry weather, with plans to reconvene Friday morning.